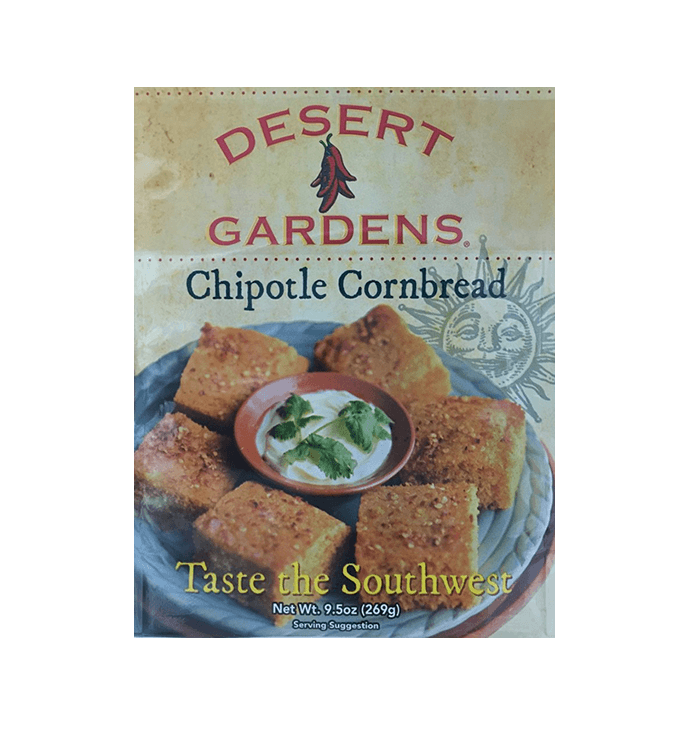 Our chipotle cornbread is delicious on its own or as the ideal side to any of our soups! 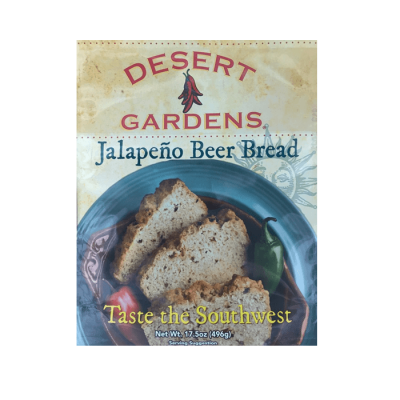 Quick and easy to make (all you’ll need to add is milk, egg and oil), this moist and delicious cornbread delivers a unique chipotle – smokey Southwestern taste to enjoy with any favorite dish! 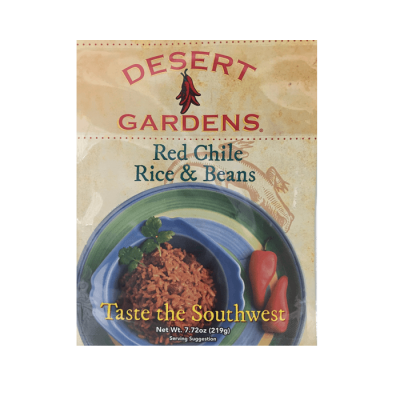 Makes about 12 servings. Store unopened package in a cool, dry place. Preheat oven to 425 degrees. Place contents in bowl. Add 1 cup of milk, 1 egg (beaten), 3 tablespoons vegetable oil and mix together. Pour into a greased 8 inch square pan. Bake for 20 – 25 minutes. 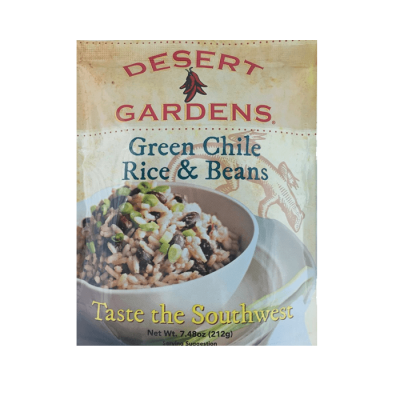 Serve with Desert Gardens Southwest Chicken Chowder, Red Enchilada Stew, Southwest Pasta Soup, or our Green Chile Stew.